New Jersey legislators say their medical marijuana bill is the nation's strictest. 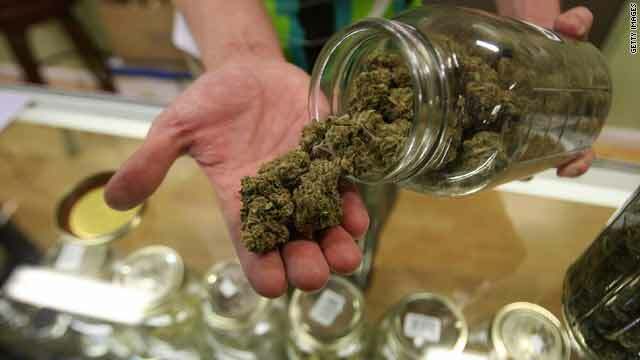 (CNN) -- The New Jersey legislature voted Monday to make that state the 14th in the country to approve marijuana for medicinal use, pending the governor's signature. Two years after the bill was introduced to the legislature, the New Jersey Compassionate Medical Marijuana Act was passed by the state Assembly in a 48-14 vote. It received Senate approval just hours later in a 25-13 vote. Only patients with proven "debilitating conditions" would qualify for ID card. Such conditions include "cancer, glaucoma, positive HIV/AIDS status or other chronic, debilitating diseases or medical conditions that produce, or the treatment of which produces, wasting syndrome, severe or chronic pain, severe nausea, seizures, or severe and persistent muscle spasms," according to the Senate news release. "Out of the 14 states that have similar bills, New Jersey's will be the strictest," Assemblyman Reed Gusciora, one of the bill's sponsors, told CNN. "I believe that this bill will be model legislation for states here on out that will look to (be) legalizing marijuana. We looked at the pitfalls of California and made a more restrictive bill." Sen. Nicolas Scutari, the bill's Senate co-sponsor, also attributed the bill's success to its restrictive measures, saying, "We put a whole lot of safeguards to make sure that what had happened in other states with respect to abuses ... would not happen here, and I think everyone was satisfied as a result, so it passed pretty easily." Gusciora pointed to the omission of stress and anxiety as one of the qualifying conditions for a prescription, to further emphasize the bills distinction from other states' bills, saying "I feel like every college student would qualify for stress and anxiety, and has qualified in California." Marijuana use would be restricted to private property under the measure. Patients with legal prescriptions could still be arrested for using marijuana in public, and they could still face driving under the influence charges if they used marijuana and got behind the wheel, according to Gusciora. The bill has been passed in time for Corzine to sign it before Gov.-elect Chris Christie takes over on January 19. According to Scutari, although Christie has shown a "willingness to sign" the bill, the timing of the bill's passage is ideal. "I didn't want to start from scratch," says Scutari, "I've been working on this for five years, and we wanted to ensure while we had control of the bill that we could get it passed in a form that was acceptable to all sides. According to Gusciora, the bill will still take six to nine months to take effect. Various safeguards such as Department of Health approval of dispensaries and tracking of patients by the Division of Consumer Affairs need to take place before doctors and patients can legally buy medical marijuana in New Jersey. For most of the New Jersey state lawmakers, however, this is huge victory. "My mother has multiple sclerosis and I could tell you that anything that could alleviate her symptoms, I would certainly want to be able to offer," said Scutari.